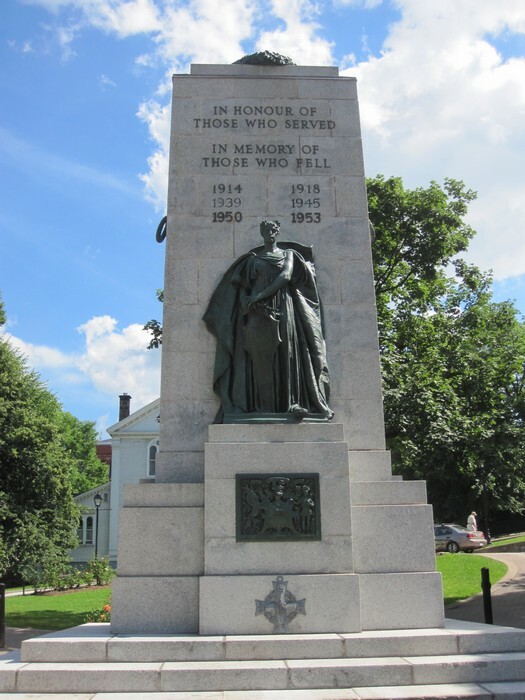 Located on the Grand Parade, and unveiled on July 1 1929, this giant monument commemorated all those Haligonians who fought and died in The Great War. 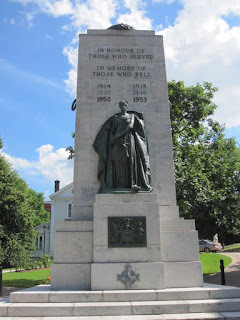 Later, special mentions of WWII and the Korean War were added. On either side of the monument are the names of the battles in WWI in which Haligonians fought and died: Amiens, Arras, Canal du Nord, Cambrai, Somme, Vimy Ridge, Ypres, Hill 7O, and of course Passchendaele. On the back of the monument are inscriptions giving special mention to those battles in which Canadians fought and died in WWII: the Battle of Britain, the Battle of the Atlantic, the Sicily Landings, the Battle of Ortona, the Gothic Line, the Normandy Landings, the Battle of the Falaise Gap (Pocket), the Battle of the Sheldt, the Battle of the Rhinland, and the Crossing of the Rhine. 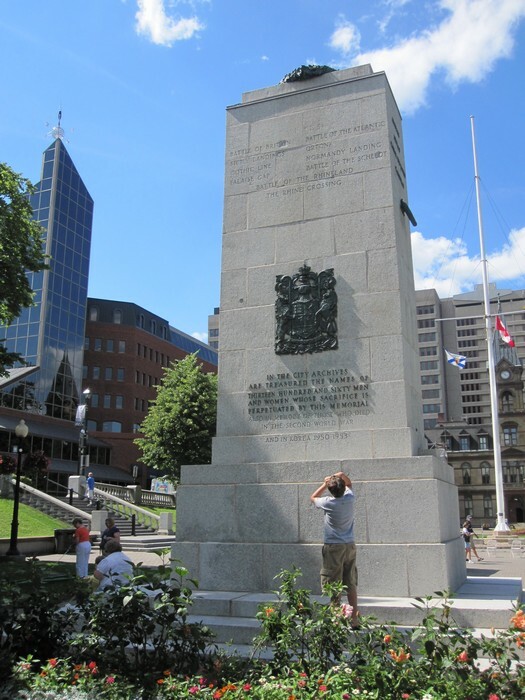 There is also a message stating that the names of all 1 360 men and women of Halifax who sacrificed their lives in these battles is kept on record in the City Archives.